From the Grand Canyon to the Statue of Liberty, the U.S. boasts world-famous national parks, historical sites and landmarks. Beyond the well-known locations, there’s a wealth of undiscovered destinations stretching from coast to coast worth visiting. From scenic sand dunes to wild mountains, here’s 51 places within America that you’ve probably never heard of. Dry Tortugas National Park is one the least-visited national parks in the U.S., in part due to its remote location 68 miles west of Key West. 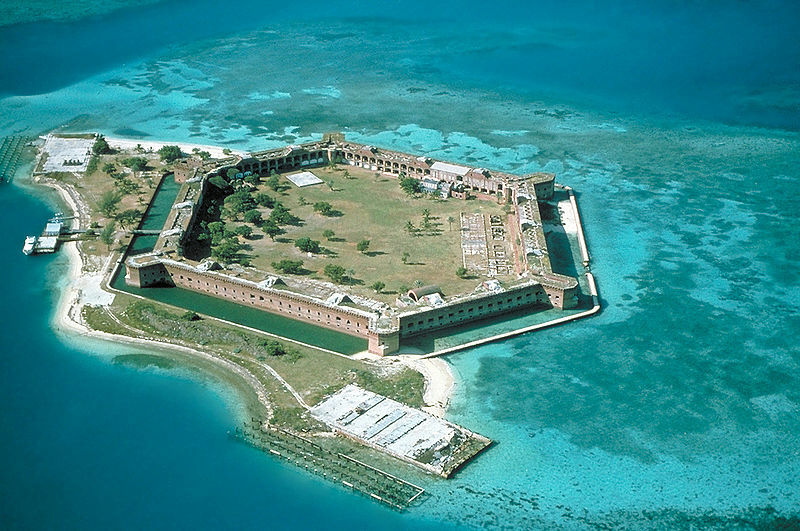 Visitors to the park can explore Fort Jefferson, a coastal fortress built in the late 1800s. Other activities include snorkeling the coral reefs around the islands, camping and bird-watching. The park is only accessible via private boat, sea plane or 3-hour ferry ride. Dry Tortugas National Park, courtesy of the U.S. National Park Service. Spend some time driving around Ithaca and you’ll quickly realize the town lives up to its “Ithaca is Gorges” slogan. 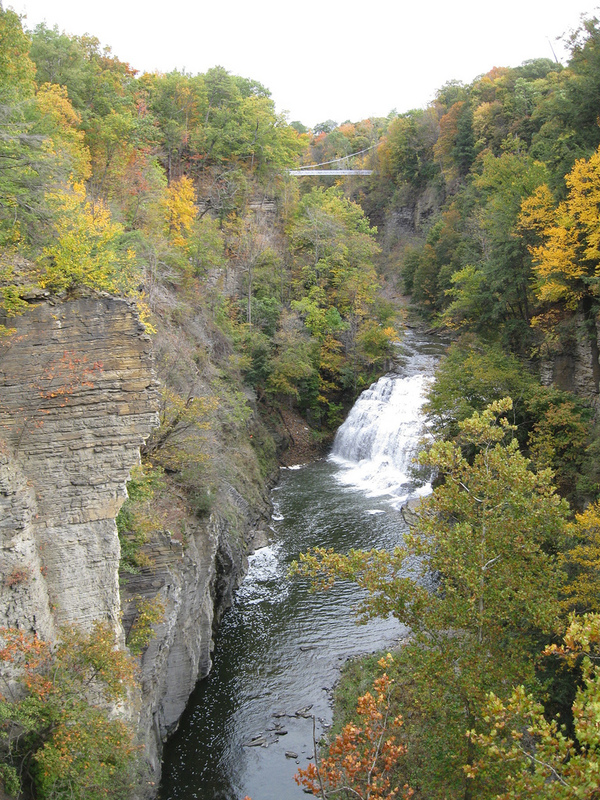 There are numerous gorges, waterfalls and lakes at every turn as well as two scenic college campuses to explore: Cornell University and Ithaca College. Once you’ve finished exploring the outdoors, visit some of the 16 wineries on the Cayuga Lake Wine Trail. Gorge in Ithaca, NY. Photo courtesy of Doug Kerr. The Caverns of Sonora cave system is a National Natural Landmark located in southwest Texas which boats a variety of calcite crystal formations. 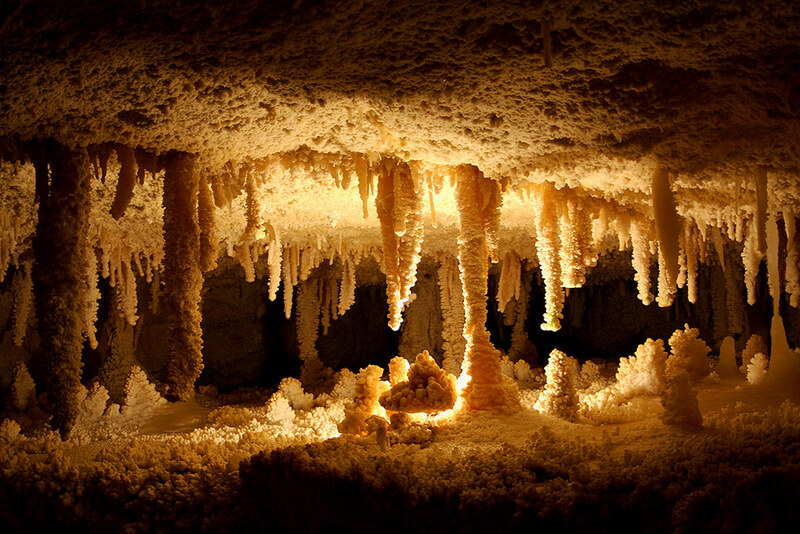 Take a tour through the cave to see the formations, including a famous crystal formation that looks like a butterfly. The Caverns of Sonora are located on I-10, about half-way between Big Bend National Park and San Antonio Texas. The Caverns of Sonora, Texas. Photo courtesy of Leah Jones. Want to relax on an island with the crowds? 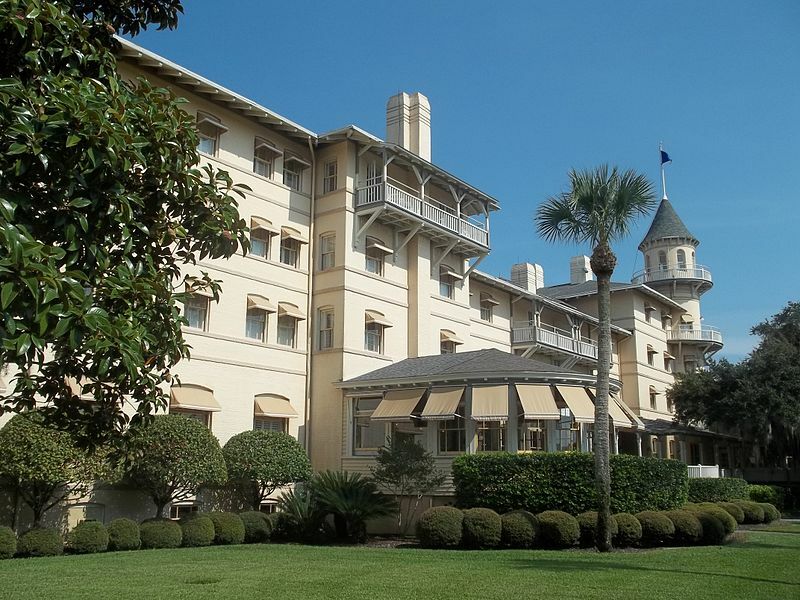 Head to Jekyll Island, the southernmost of Georgia’s Golden Isles. You’ll find ten miles of white sand beaches, 20 miles of bike trails, a waterpark, the Georgia Sea Turtle Center, 63 holes of golf and the National Historic Landmark District, featuring mansions once owned by America’s elite. Once a private retreat for families like the Pulitzers, Vanderbilts and Rockefellers, the island is now accessible to everyone. Jekyll Island, Georgia. Photo courtesy of Ebyabe. Frequently referred to as Hawaii’s “Secret Island,” the intimate island of Lanai is the perfect place to get away from the crowds. The island’s only settlement, Lana’i City, doesn’t have shopping malls or stoplights and there are two main resorts on the island, both of which are owned by the Four Seasons. Once you’re there, choose from exploring the numerous beaches on the island, such as Hulopoe Bay, or go on a hike to Keahiakawelo (Garden of the Gods). There are no flights to Lanai from the continental U.S. so you’ll need to book a connection through Honolulu. Lana’i, Hawaii. Photo courtesy of Steve Jurvetson. 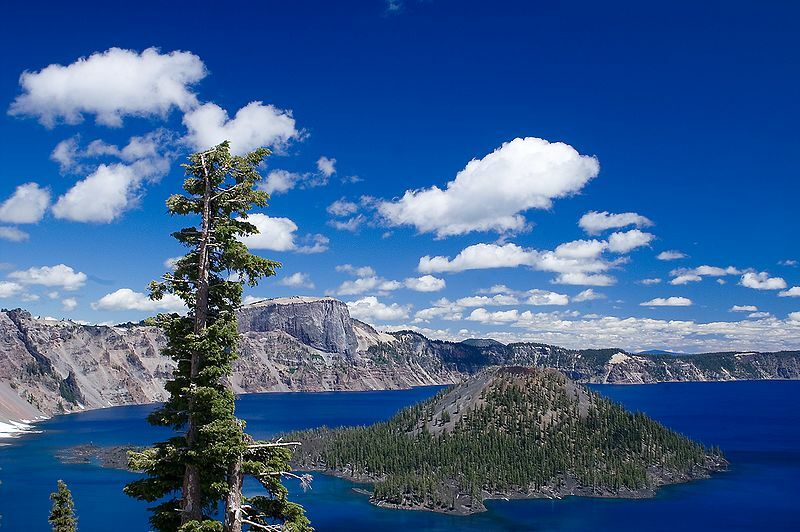 Most people are familiar with Oregon’s famous coastline but far fewer venture inland to visit one of the state’s most scenic areas: Crater Lake National Park. 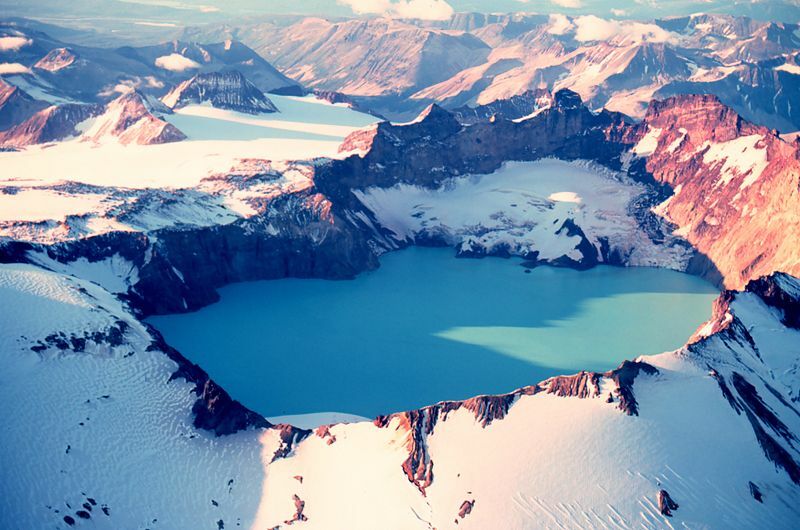 Crater Lake features a deep blue lake, surrounded by 2,000-foot high cliffs and two picturesque islands. Crater Lake is a nature-lover’s paradise, with hiking, camping, fishing and kayaking all available within the national park. Crater Lake, Oregon. Photo courtesy of Stuart Seeger. 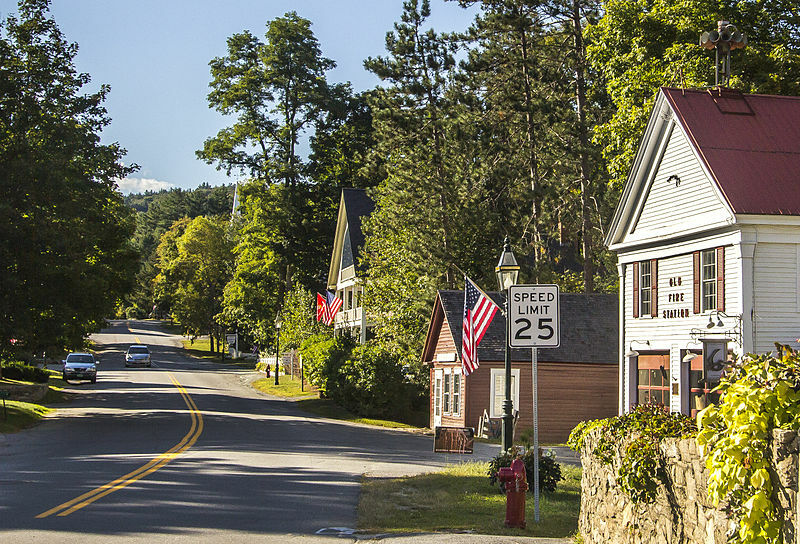 This tiny town in the mountains of southern Vermont is one of New England’s prettiest villages. Visiting this quaint town of 600 is like stepping back in time. Spend time walking around the main village square, visit the fine art galleries and nibble on some cheese at Grafton Village Cheese; this is the perfect place to unwind from the daily rat race. Grafton, Vermont. Photo courtesy of samturgeon. Go way back to prehistoric times with a visit to the La Brea Tar Pits in Los Angeles. Visitors can stroll past tar pits inside or explore the indoor George Page Museum. 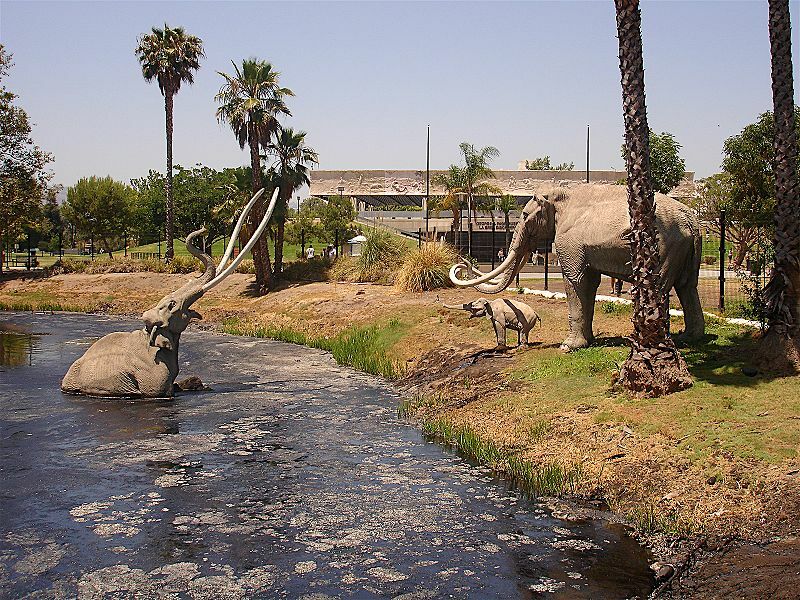 The La Brea Tar Pits contain one of the world’s largest deposits of Ice Age fossils. More than 40,000 years ago, saber-toothed cats, giant slots, dire wolves and mammoths roamed the LA area and became trapped in the tar pits. You can browse exhibits made from the nearly 1 million fossils discovered in the area. La Brea Tar Pits, Los Angeles, California. Photo courtesy of 3scandal0. 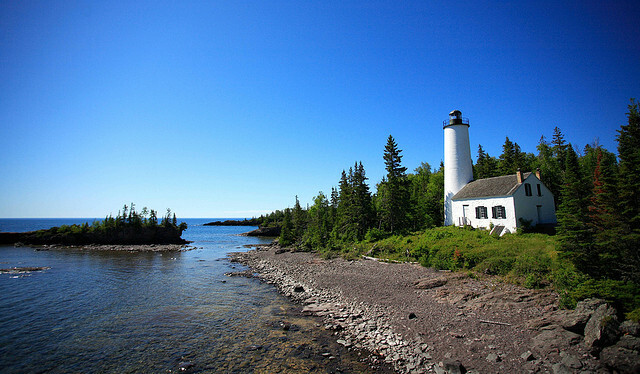 Isle Royale National Park is the largest island in Lake Superior and closer to Canada than it is to the United States. The park is the least visited continental U.S. National Park due to the fact it’s only accessible by boat or seaplane. It’s also the only U.S. National Park to entirely close for a full winter season. Visitors to the park can enjoy hiking the Greenstone Ridge, camping, boating and kayaking. Isle Royale National Park. Photo courtesy of Ray Dumas. 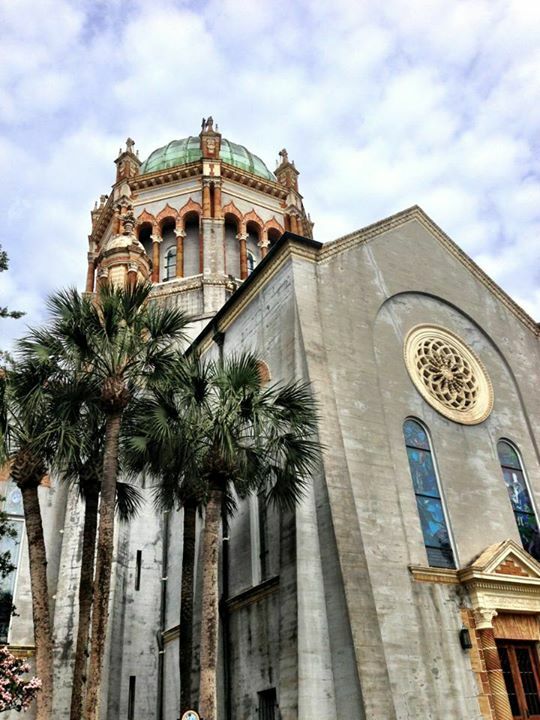 Founded in 1565, St. Augustine, Florida is the longest continually inhabited European-founded city in the U.S. History buffs will love the city’s rich heritage with landmarks such as the Castillo de San Marcos and Flagler College. Spend time strolling the narrow Spanish-inspired lanes, exploring the lighthouse on Anastasia Island or basking in the sun on one of the many beaches. Memorial Presbyterian Church, St. Augustine, Florida. The Wave is among the most scenic hiking destinations in the Southwest, located near the Arizona-Utah border. 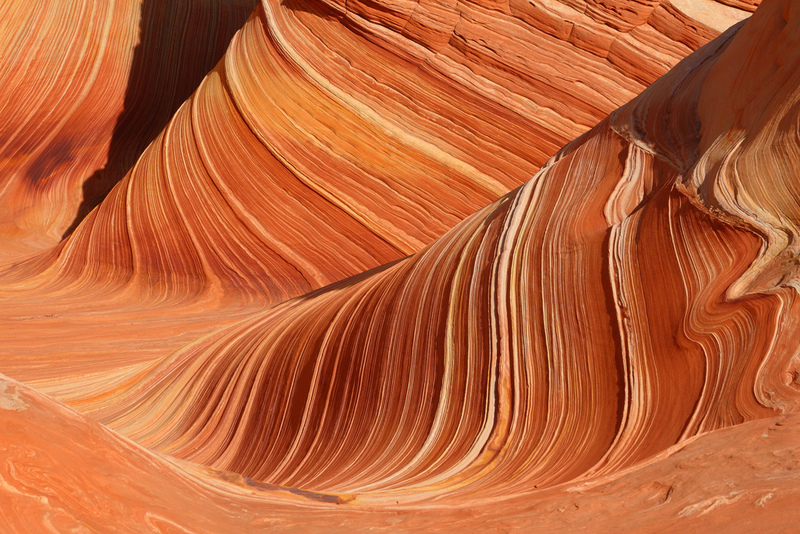 The Wave is a sandstone rock formation and is famous amongst hikers and photographers, but few actually get to see it. A trackless hike is required to reach the site and more than 48,000 people applied for 7,300 permits last year. The Wave, Arizona. Photo courtesy of Frank Kovalchek. Katmai National Park and Preserve has the world’s largest brown bear population, the Valley of Ten Thousand Smokes, active volcanoes, the largest lake within the National park system and the highest concentration of prehistoric human dwellings in North America. The park attracts kayakers, anglers, skiers, wildlife seekers and hikers. There’s no road so visitors have to fly or take a boat from a nearby village. Katmai National Park. Photo courtesy of Captain Budd Christman. Ash Cave is located in the southern portion of Hocking Hills State Park and was named for the pile of ashes left in the cave by settlers. 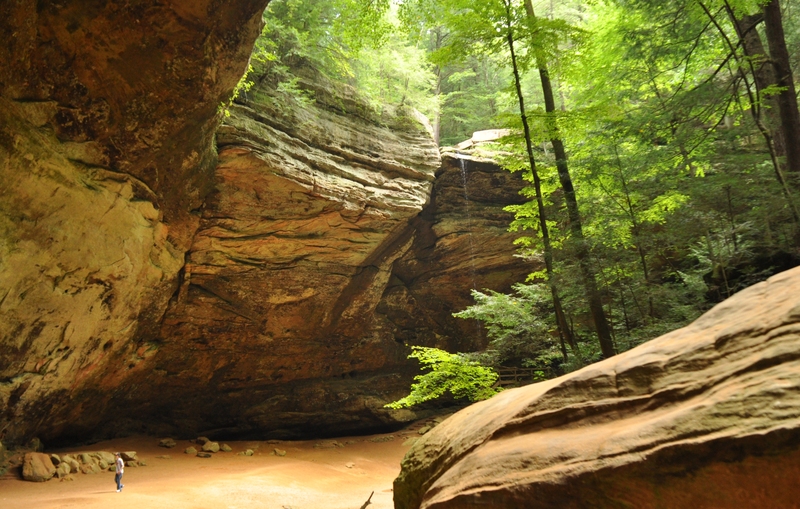 A cascading waterfall, wide recess cave and towering hemlocks make it one of the most scenic destinations in Ohio. You don’t need to be a seasoned hiker to visit either; the trail is accessible for wheelchairs and strollers. Ash Cave, Ohio. Photo courtesy of Ted. 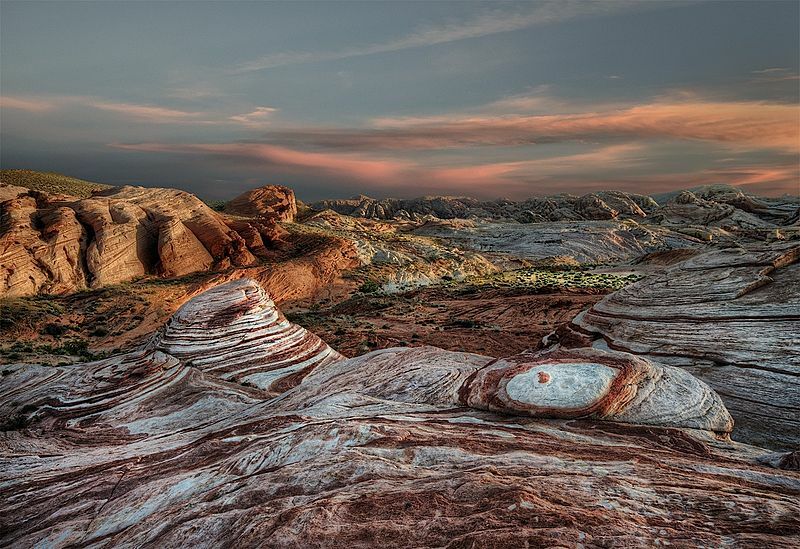 Located an hour outside of Las Vegas, the 36,000-acre Valley of Fire State Park gets its name from the stunning red rock formations as well as its distinct stone shapes in the form of an elephant, duck, piano and beehive. Keep a look out for the Native American-made petroglyphs scattered throughout the park. Valley of Fire State Park, Nevada. Photo courtesy of John Fowler. Shi Shi beach, located in Olympic National Park, is one of Washington’s most scenic beaches and also one of the most difficult to reach. Visitors who make the 66-mile drive from Port Angeles and the muddy 3.3 mile hike from their car will be rewarded with stunning sea stacks, caves and tide pools. Camping on the beach is allowed with the purchase of a permit and all supplies will need to be carried in. 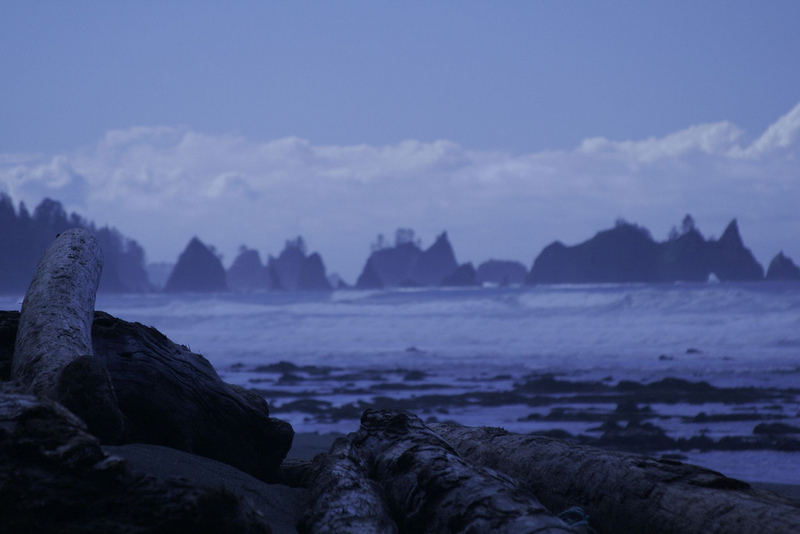 Shi Shi Beach, Washington. Photo courtesy of Cami. 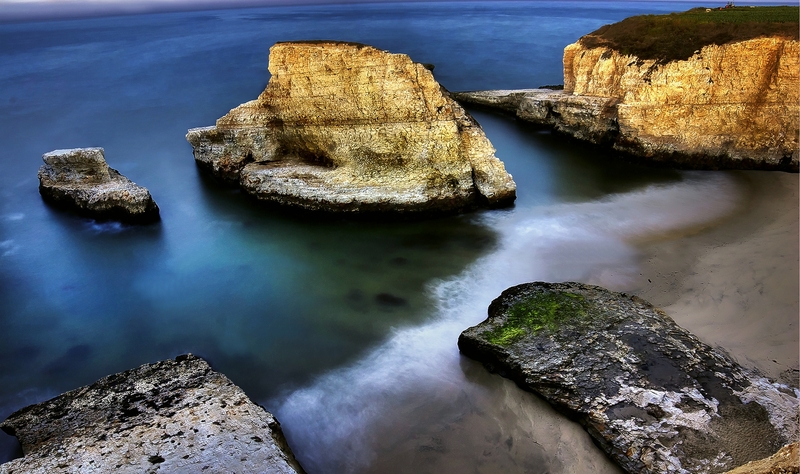 Also known as Shark Tooth Cove, this beach is located steps from Highway 1 in Davenport. The cove derives its name from the lone rock in the ocean. Spend time wandering the coastal trails overlooking the beach or exploring the sea cave. Shark Fin Cove, California. Photo courtesy of Jason Jenkins. 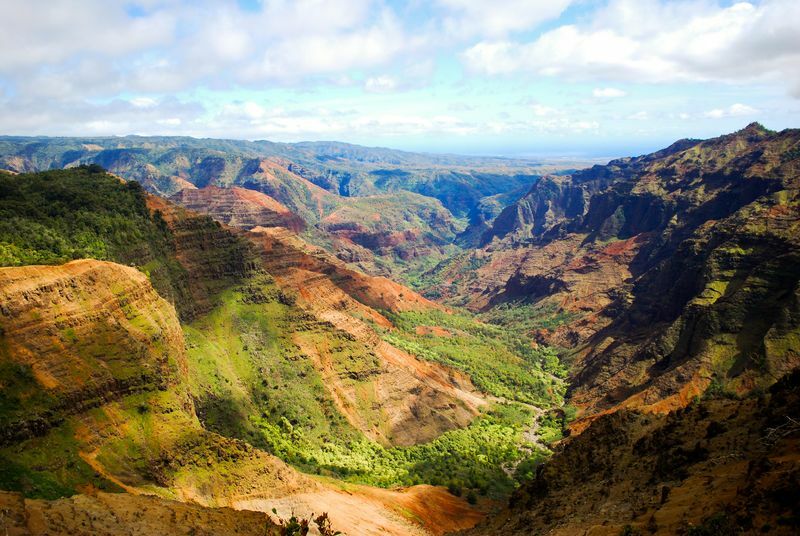 Located on Kauai’s west side, Waimea Canyon is dubbed the “Grand Canyon of the Pacific.” At 10 miles long, one mile wide and more than 3,600 feet deep, the canyon is smaller than the Grand Canyon in the Southwest, although its green, red and brown colors make it more colorful. Make sure to visit Waimea Canyon Lookout, one of most scenic lookout points in the area. Waimea Canyon, Hawaii. Photo courtesy of Aaron Bernstein. Cumberland Island received some national attention when the late John F. Kennedy Jr. married Carolyn Bessette at the only inn on the island. The island is secluded – there are no stores, no street lights, no paved roads and access is restricted to 300 people per day. 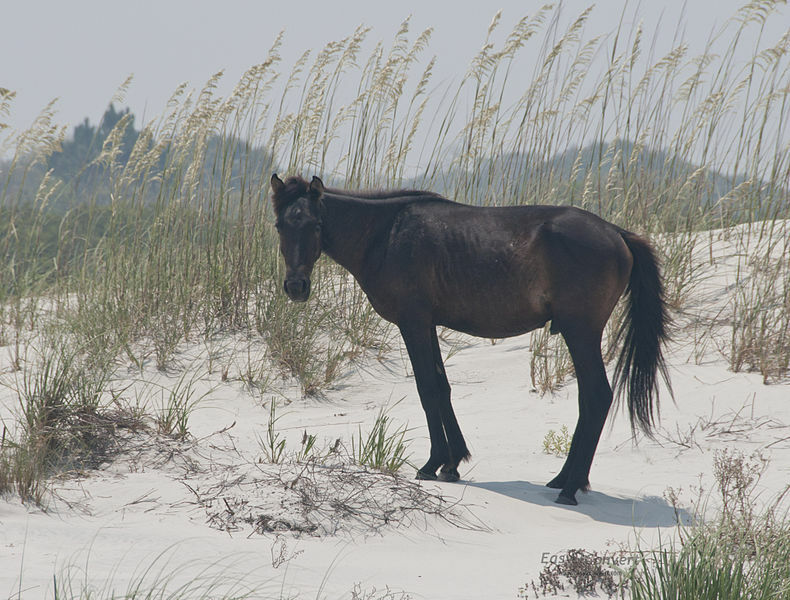 Visitors can spend time exploring the sand dunes, miles of empty beaches and spotting wild horses. Horse on Cumberland Island, Georgia. Photo courtesy of Bonnie Gruenberg. 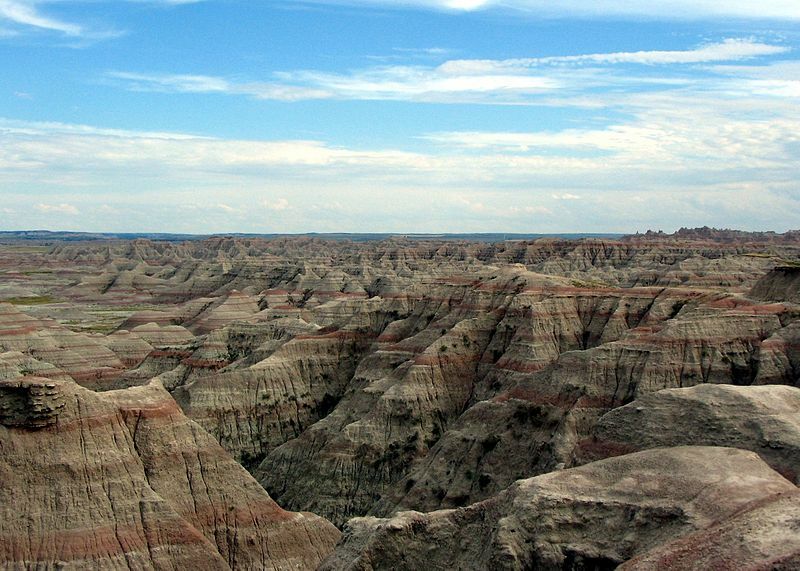 Badlands National Park resembles a science fiction landscape. Visitors who come to this national park can hike through towering rocks, steep canyons, jagged ridges and buttes, which contrast sharply with the prairie grasses. The Badlands National Park also contains the largest number of fossil beds from the Oligocene Epoch, which include saber-toothed cats and ancient camels. Badlands National Park, South Dakota. Photo courtesy of Wereldburger758. 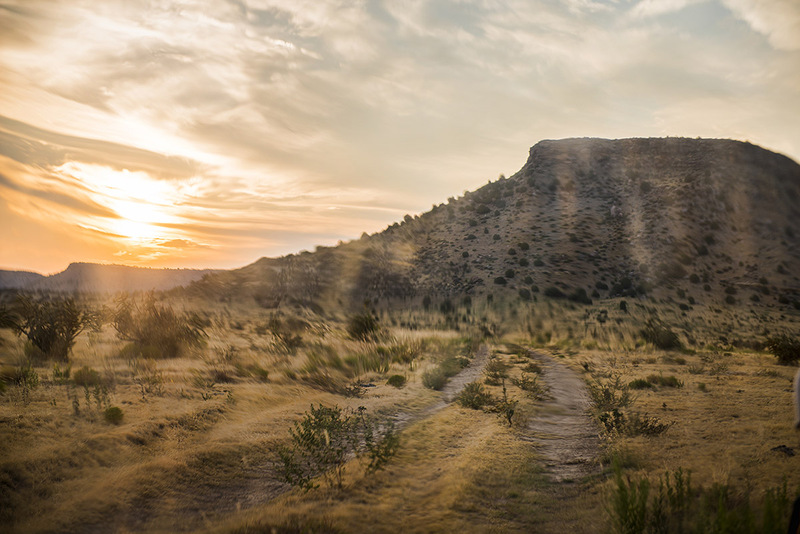 Located along the tri-state border with New Mexico and Colorado, Black Mesa State Park takes its name from the layer of black lava that was deposited about 2.4 million years ago. The nature park contains Oklahoma’s highest point at over 4,900 feet. Watch for wildlife in the park, ranging from black bears to bighorn sheep. Black Mesa State Park, Oklahoma. Photo courtesy of Jeremy Charles. Want a Bavarian experience without using your passport? 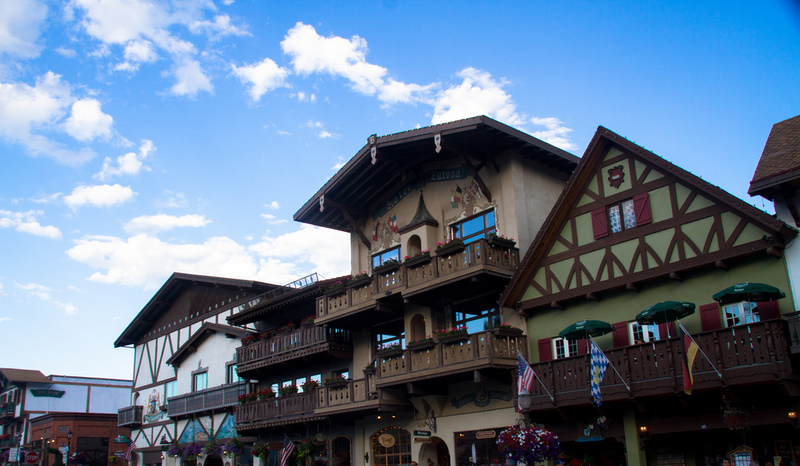 Head to Leavenworth, a quaint German village surrounded by mountains in central Washington. Spend time exploring the German shops and restaurants and afterwards, head to the mountains for hiking, rock climbing, biking and skiing. Leavenworth, Washington. Photo courtesy of Razvan Orendovici. 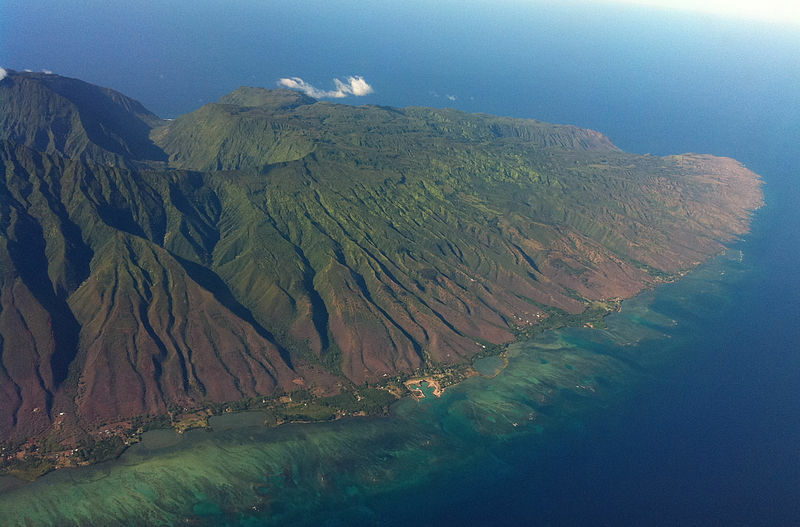 Tourists head to Molokai for the aloha lifestyle. 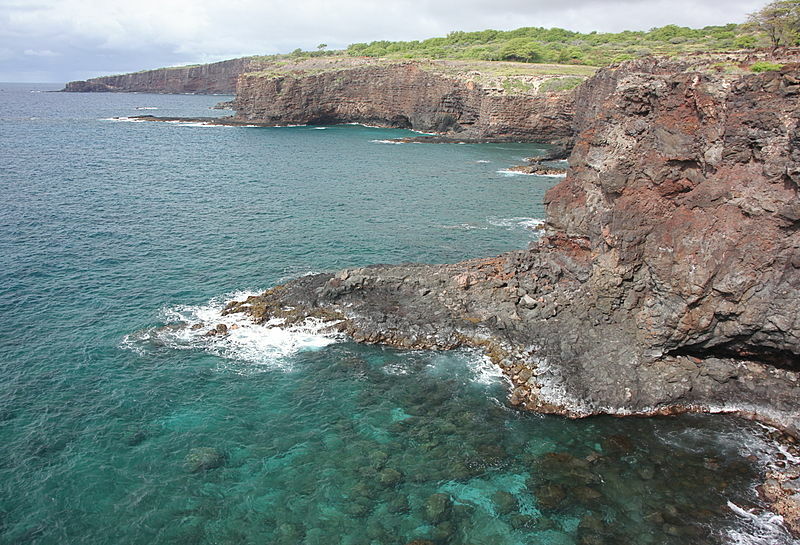 The island is much less developed than its neighbors, Maui and Oahu. There are no stoplights, resorts, fine dining or buildings above two stories. Travelers head to Molokai to wander around the island’s beaches and explore Kalaupapa National Park, the former site of banished leprosy patients. Molokai, Hawaii. Photo courtesy of Travis Thurson. 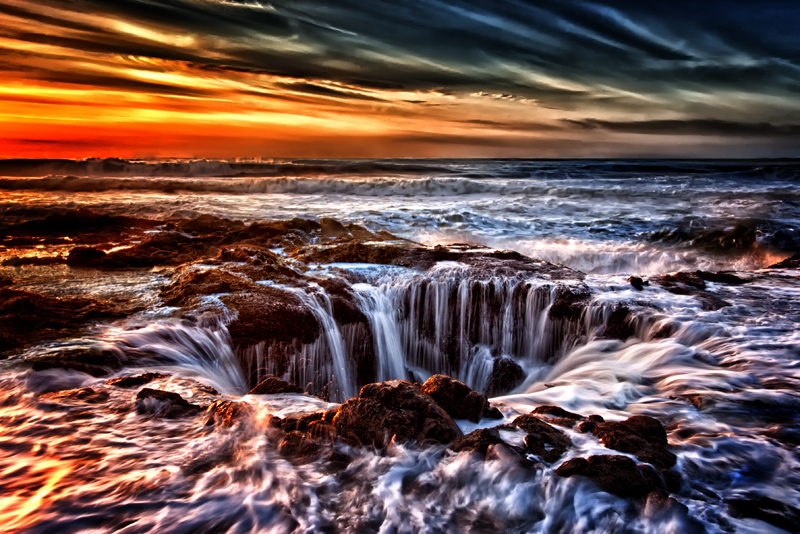 Thor’s Well is a natural salt water fountain located off the coast of Cape Perpetua in Oregon, off of U.S. Route 101. Visitors to the area should be careful to avoid the strong surges at high tide or during winter storms. Thor’s Well, Oregon. Photo courtesy of mariner. The Natchez Parkway was originally a Native American trading post trail. Today, it’s 400 miles long, two lanes wide and commercial vehicles are prohibited. There are no commercial buildings so you won’t see a Walmart, hotels or strip malls as you drive by. There are also numerous historical sites on the Parkway, including the Meriweather Lewis Museum, Mount Locust Stand, Emerald Mount and Mississippi Craft Center. Nachez Trace Parkway, Mississippi and Tennessee. 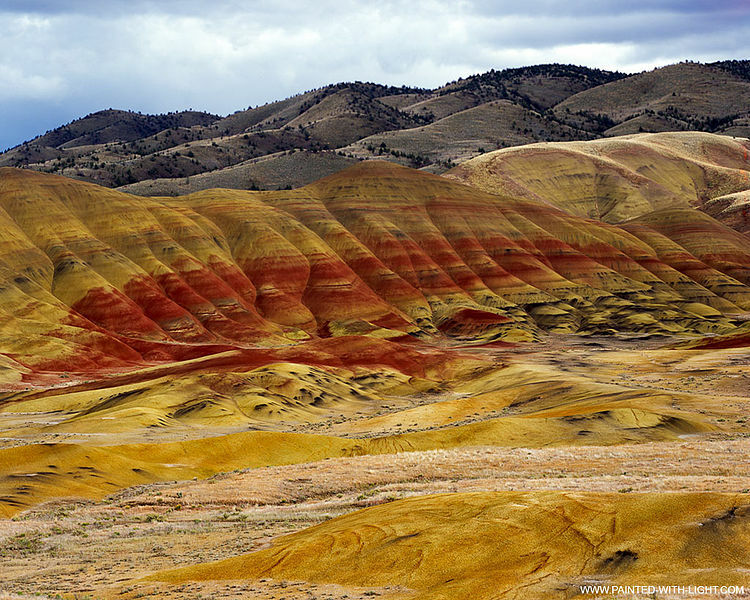 The Painted Hills is one of three units that comprise the John Day Fossil Beds National Monument. The name is derived from the delicately colored layers in the hills, which are best seen in the late afternoon. Visitors to the area should also visit the nearby Clarno Units, with its Mars-like pillars and the Sheep Rock Unit, where fossils of pants and animals are on display. 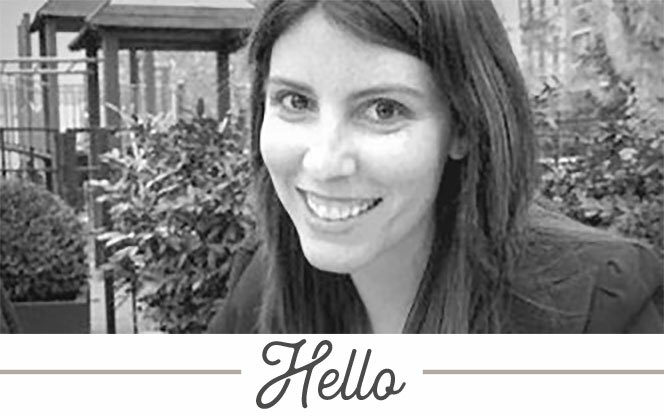 Want a Cape Code-like atmosphere without the traffic? Head to Scituate, 25 miles south of Boston. The scenic town is filled with Cape-style homes, seafood restaurants and independently-owned specialty shops. 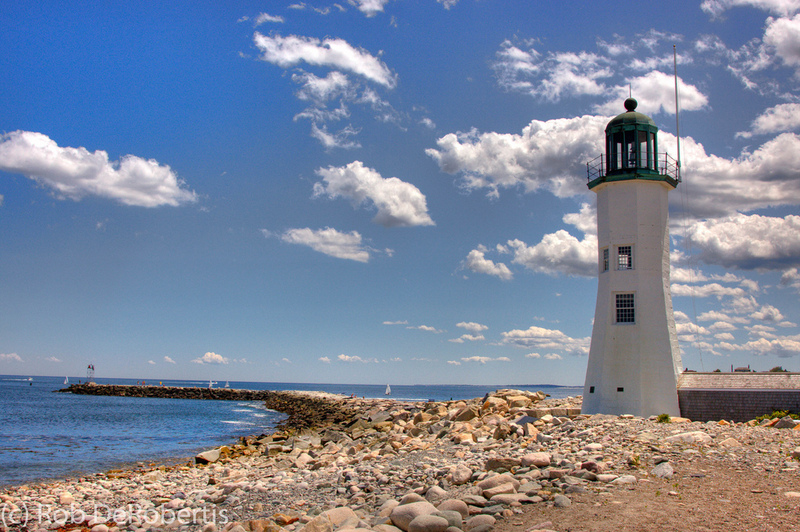 Visit the Scituate Lighthouse, one of the most scenic in Massachusetts. 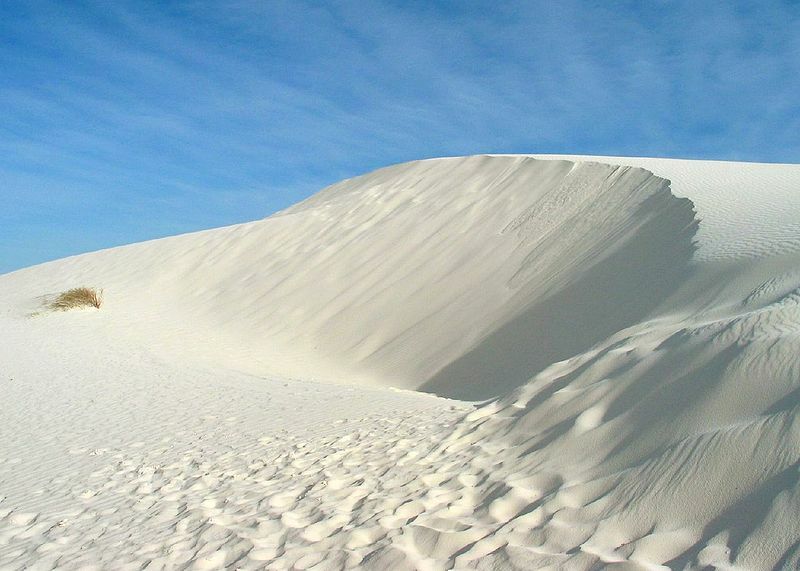 This park is one of the largest dune fields the world, made of rare, blinding white gypsum sand. Unlike dunes made of quartz-based sand, gypsum can be walked upon safely with bare feet, even in the hottest summer months. Visitors can rent plastic saucers and sled down the sand dunes. White Sands National Monument. Photo courtesy of davebluedevil. 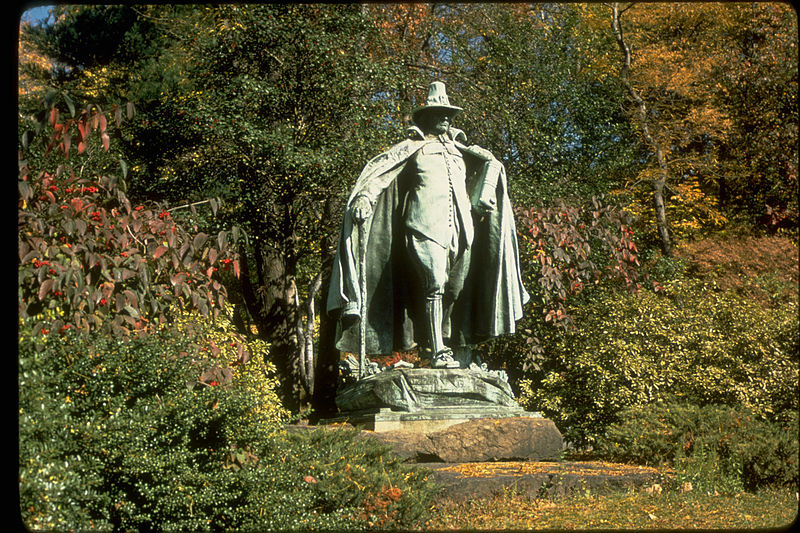 Discover the home and gardens of Augustus Saint-Gaudens, one of America’s greatest sculptors, which also happens to be the only national park in New Hampshire. Visitors can join a guided tour through the galleries and historic areas to learn about Saint-Gaudens’ art and life in Cornish, attend a weekend sculpture workshop or walk on one of the many nature trails. Saint-Gaudens National Historic Site, New Hampshire. Photo courtesy of National Park Service. 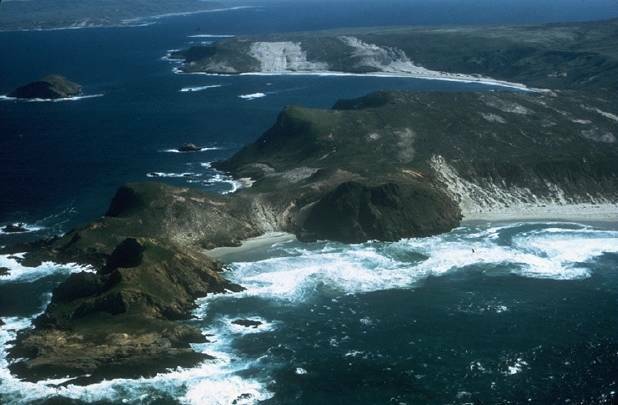 Located about 70 miles north of Los Angeles, Channel Islands National Park is among the least visited in the U.S. The National Park encompasses five islands is home to 2,000 species of plants and animals, 145 of which are not found anywhere else in the world. Similar to the Galapagos Islands in Ecuador, the isolation of these islands has enabled evolution to proceed without intervention from humans. Channel Islands National Park, California. Photo courtesy of the National Park Service. 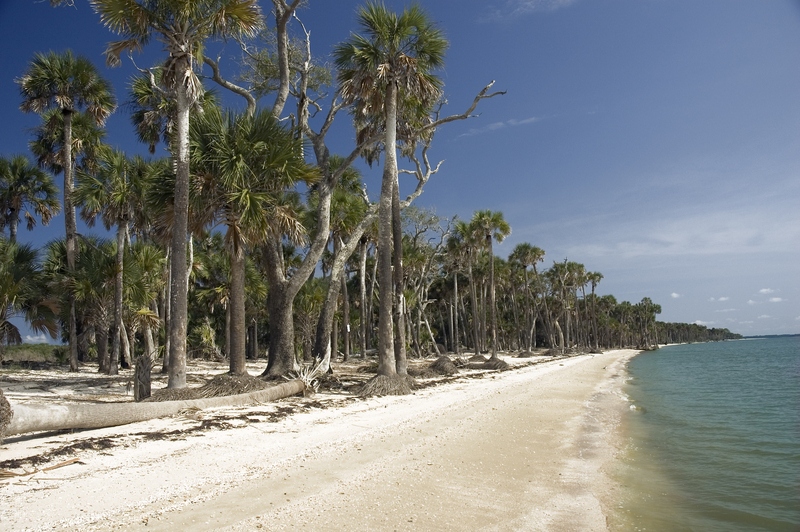 St. Vincent Island National Wildlife Refuge is an undeveloped barrier on the northwest Gulf of Mexico. The refuge is an important haven for several endangered and threatened animal species, including bald eagles, sea turtles, indigo snakes and gopher tortoises. While you’re on the island, you’ll see several habitats such as sand ridges, tidal marshes, pine forests and scrub oak. Since the island is uninhabited, you’ll need to stay in nearby Apalachicola. The Gila Cliff Dwellings caves date back to the late 1200s and provide clues about the Mogollon residents. 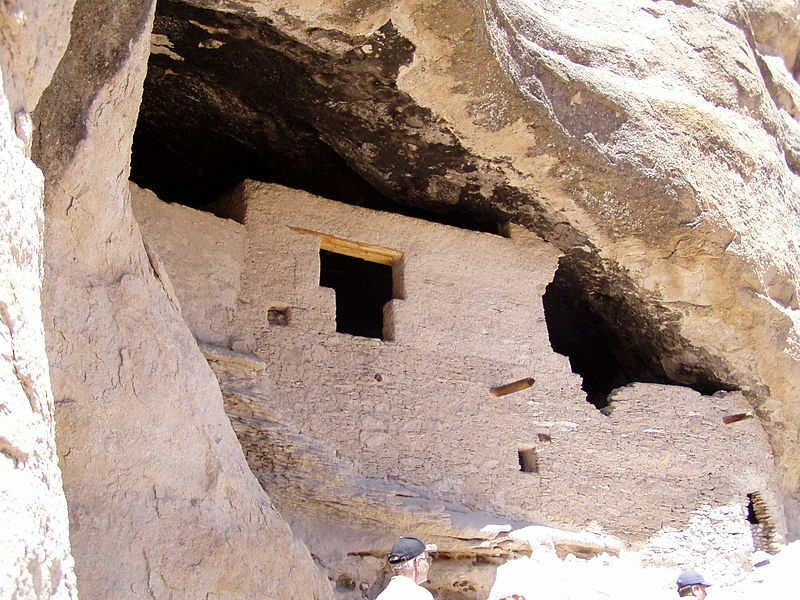 The Mogollon people lived in the cliff houses, which provided good shelter, but abandoned the area in the 1300s for unknown reasons. In addition to exploring the ancient caves, visitors can also take a short walk to the nearby hot springs. Gila Cliff Dwellings, New Mexico. Photo courtesy of Gillfoto. Southwest Harbor is only 12 miles from Bar Harbor and one of Maine’s best kept secrets. 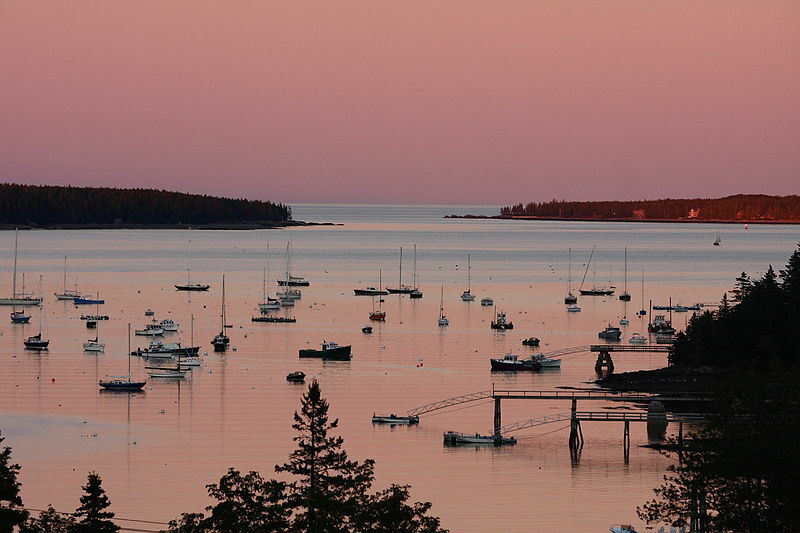 Unlike well-known Bar Harbor, Southwest Harbor has less crowds and is less developed. The quiet town is often referred to as the jewel of Mt. Desert Island due its scenic location near Acadia National Park. Spend some time by the harbor, watching fishermen bring in boats filled with fresh lobster and then explore the beauty of the nearby national park. Southwest Harbor, Maine. Photo courtesy of Dana Moos. 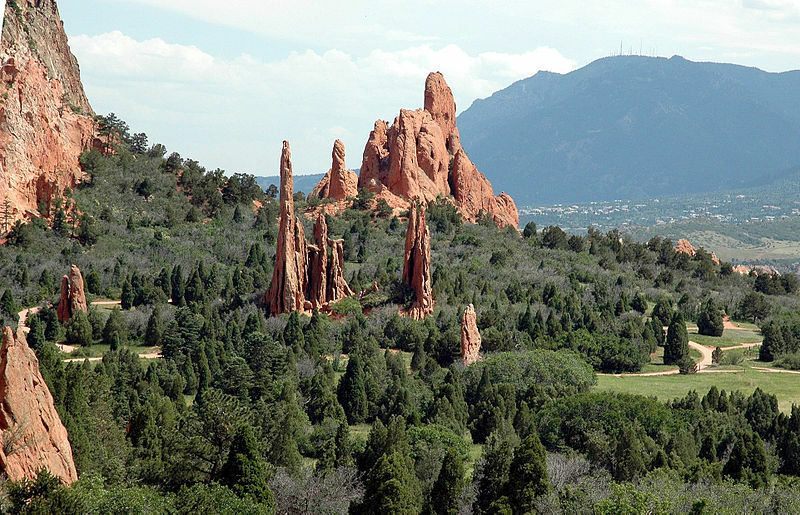 Garden of the Gods is a National Natural Landmark located 6 miles outside of Colorado Springs. Admission to the park is free and visitors have the option of taking a guided horseback tour or a hiking tour. Spend time walking amongst the towering sandstone formations and get a glimpse of snow-capped Pikes Peak. Garden of the Gods, Colorado. Photo courtesy of Robert Corby. Open year-round, the Mendenhall Glacier is located 13 miles from downtown Juneau and is among the most famous glacier in the Juneau Icefield. 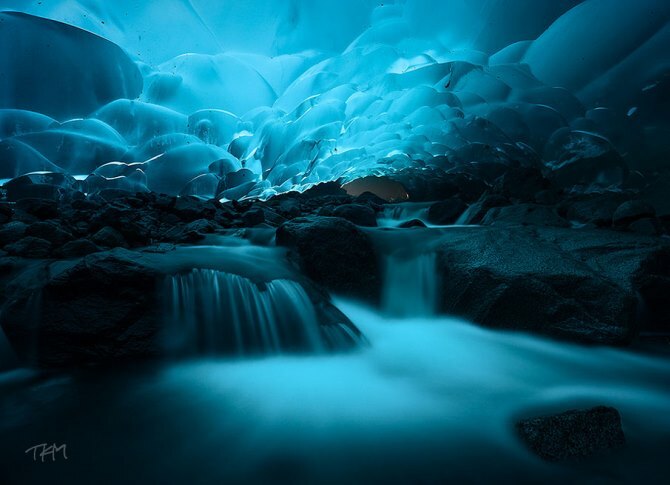 Spend some time walking in the surreal ice caves and you’ll be treated to a kaleidoscope of blues, whites and grays. Visitors who don’t want to hike to the ice caves can take a boat or kayak out to Mendenhall Glacier. Mendenhall Glacier, Alaska. Photo courtesy of sentenced2life.com. 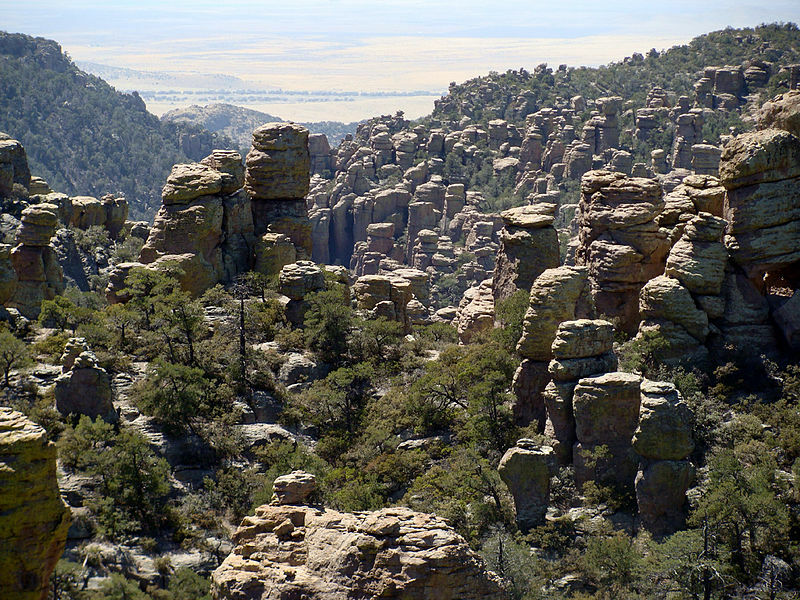 Chiricahua National Monument is often referred to as a “wonderland of rocks,” featuring dramatic pinnacles and spires. This remote monument has an 8-mile paved scenic drive and 17 miles of hiking trails. For the more adventurous, there are opportunities to climb and scramble up the boulders. Chiricahua National Monument, Arizona. Photo courtesy of Zereshk. 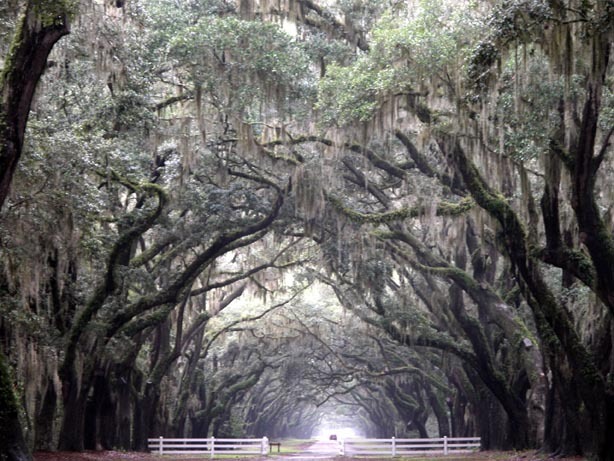 Drive down a road lined by over 400 live oak trees and emerge at the site of Georgia’s oldest plantation. Wormsloe Plantation is located in Savannah and was owned by Noble Jones, who arrived in 1773. Visits can experience how the earliest settlers lived by taking a tour of the plantation. The area includes a museum, walking trail and the scenic oak-lined avenue. Wormsloe Plantation, Georgia. Photo courtesy of Serge Yurovsky. Located in the Columbia River Gorge, Oneonta George is a U.S. Forest Service-designated area due the unique aquatic plants that grow there. The gorge is often overlooked since it’s next door to the much more well-known Multnomah Falls. 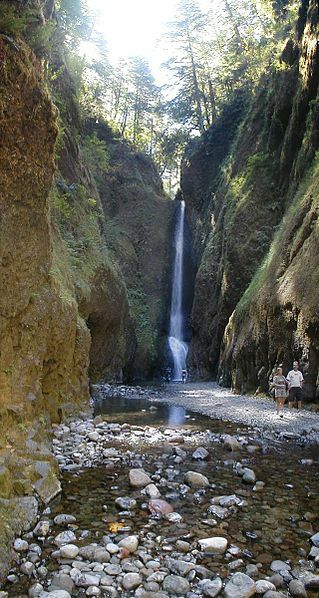 The hike to the gorge is an easy 2.7-mile loop with just 400 feet of elevation gain. Devil’s Tower became the first U.S. National Monument, established in 1906 by President Theodore Roosevelt. The monument is a giant rock formation standing at over 1,200 feet tall. Rock climbers love making their way up to the top but if you’re not into extreme sports, there are plenty of hiking trails nearby. 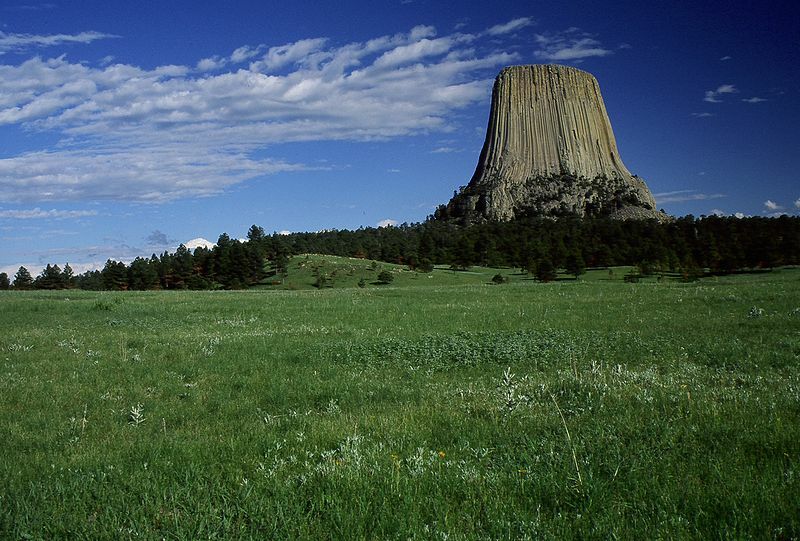 Devil’s Tower, Wyoming. Photo courtesy of Jeff Fennell. Sun-started Seattle-ites have been crossing the mountains in search of blue skies for years. 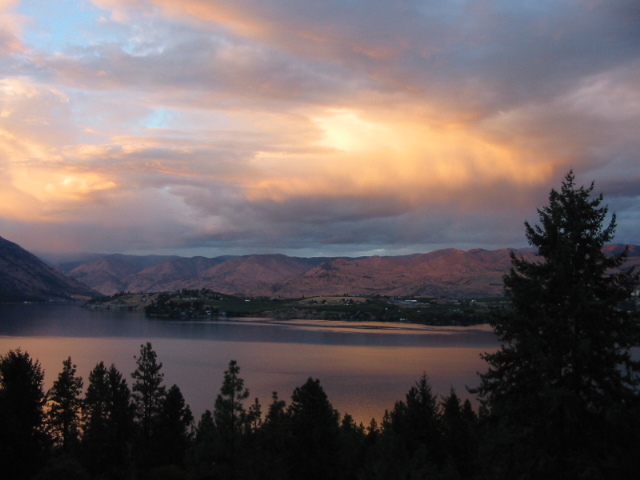 While Lake Chelan is well-known in western Washington, it’s still a hidden gem for most people. The lake is surrounded by hills and is one of the deepest in the country. Families love the variety of watersports, such as boating, kayaking and swimming. When you’re done playing on the lake, head to one of the many wineries in the surrounding area. Lake Chelan, Washington. Photo courtesy of Themerganser. Located on Bailey Island, the Giant’s Stairs are a huge vertical cut in the cliffs with a series of polished stone steps. 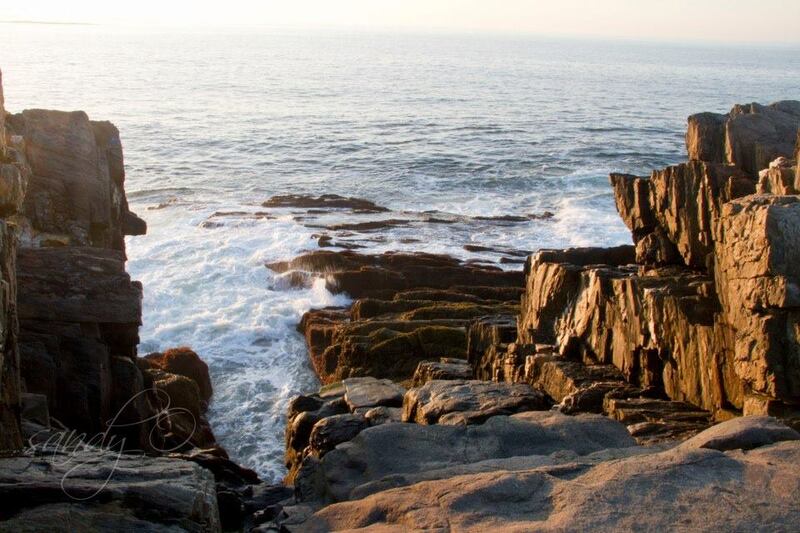 The staircase is a well-maintained path and once you’re done this hike, spend time exploring the beaches and vistas on Bailey Island. Giant’s Stairs, Bailey Island, Maine. Photo courtesy of Sandy Orr photography. 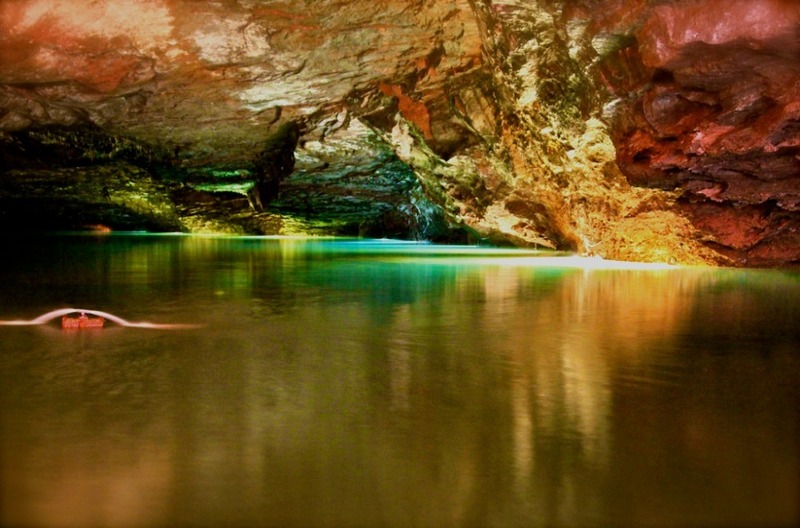 Located in Sweetwater, Tennessee, the Lost Sea is the largest underground lake in the U.S. Before reaching the lake, visitors will spend time walking around the Craighead Caverns before arriving at the lake, where they’ll board a glass-bottom boat. Some tours offer the opportunity to crawl into caves where Confederate soldiers and moonshiners used to hide. 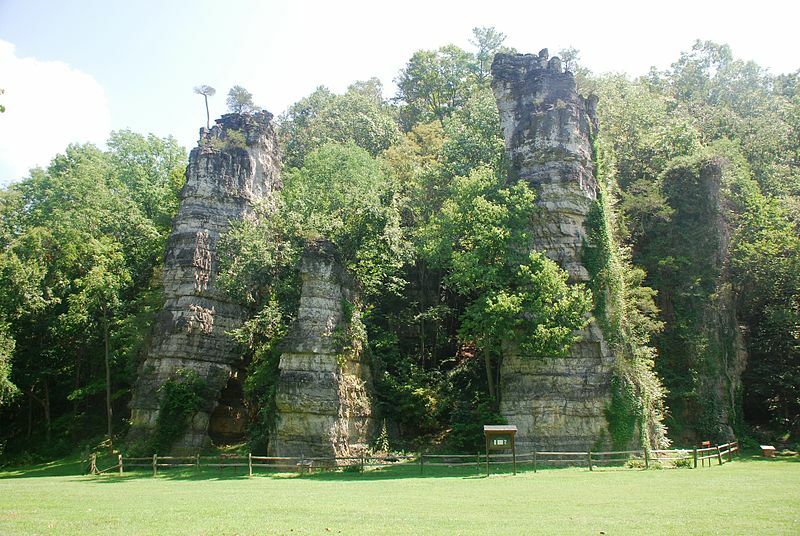 Located in the Shenandoah Valley, Natural Chimneys park features 120-foot high limestone rock towers. In addition to viewing the rock towers, visitors can spend time hiking around the park or camping overnight. Natural Chimneys Regional Park, Virginia. Photo courtesy of Jarek Tuszynski. Cliff Palace is the largest cliff dwelling in North America, composed of 600 cliff dwellings. It was inhabited from the year 500 to 1300 by the “Anasazi” and has as many as 100 people before the population collapse. The Cliff Palace features ceremonial rooms and remnants of tools and pottery. 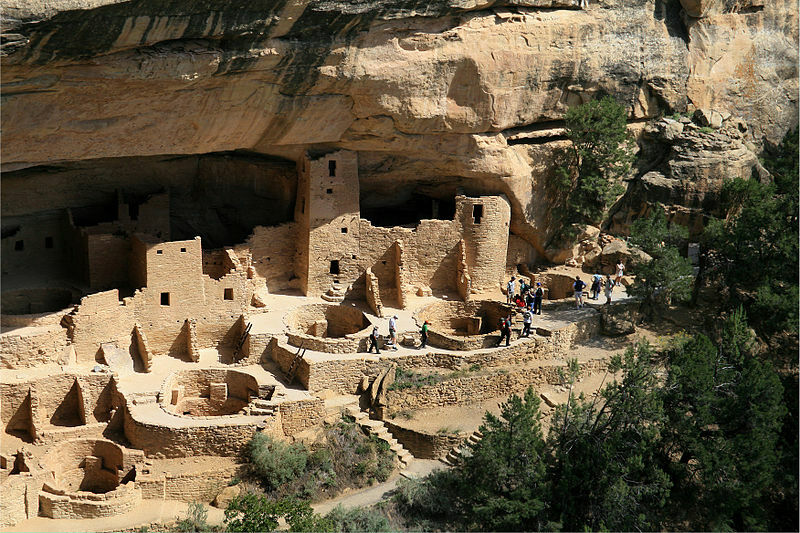 The Cliff Palace portion of Mesa Verde National park closes between November and April. Cliff Palace, Mesa Verde National Park ,Colorado. Photo courtesy of Andreas F. Borchert. Explore sand dunes, marshlands, hardwood forests and seven miles of Lake Michigan shoreline at Ludington State park. 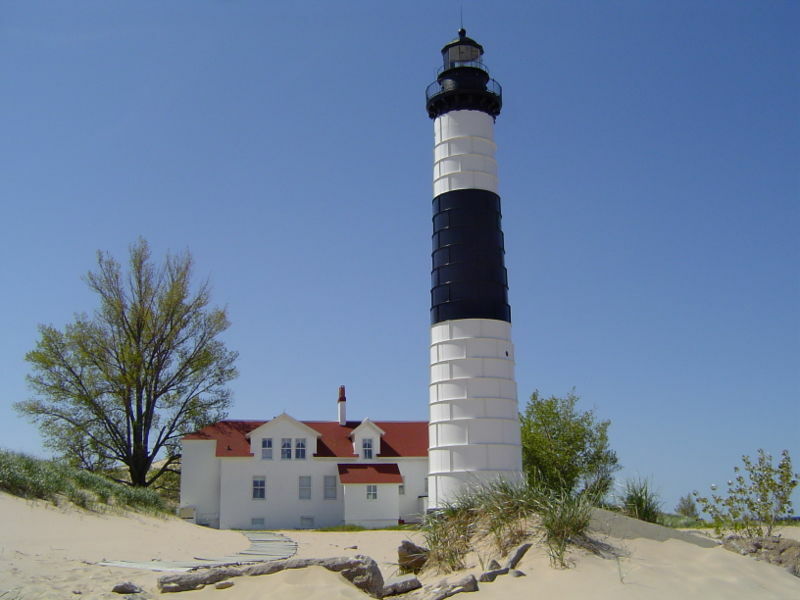 The park is also home to Big Sable Point Lighthouse, which can be visited from May through October. 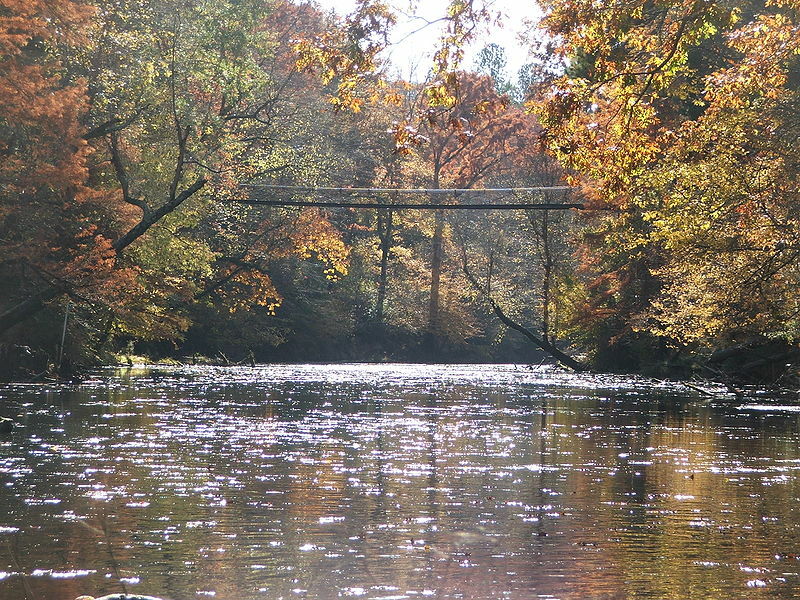 The timeless charm and outdoor activities make this state park a great destination for campers. Big Sable Point Lighthouse, Ludington State Park, Michigan. 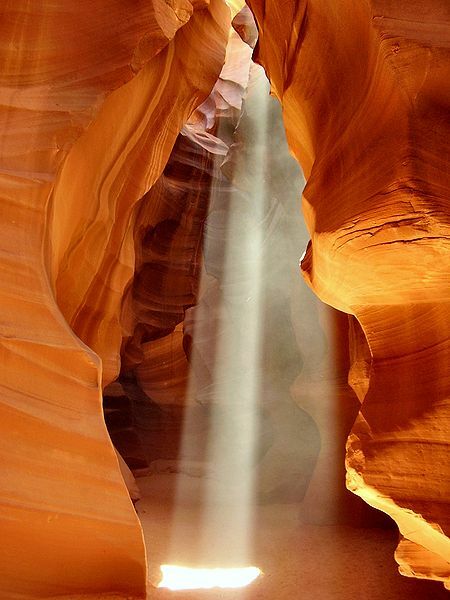 Located on Navajo land near Page, Arizona, Antelope Canyon is a dream destination for photographers. The glowing orange and purple colors of the twisted canyon are some of the most heavily photographed in the southwest. Due to the danger of flash floods, the canyon may only be visited with a guide. Antelope Canyon, Arizona. Photo courtesy of Lucas Loffler. This hike is one of the most notorious in Colorado, leading to a thin strip of rock just four feet wide, 100 feet long, with a 1,000-foot drop. 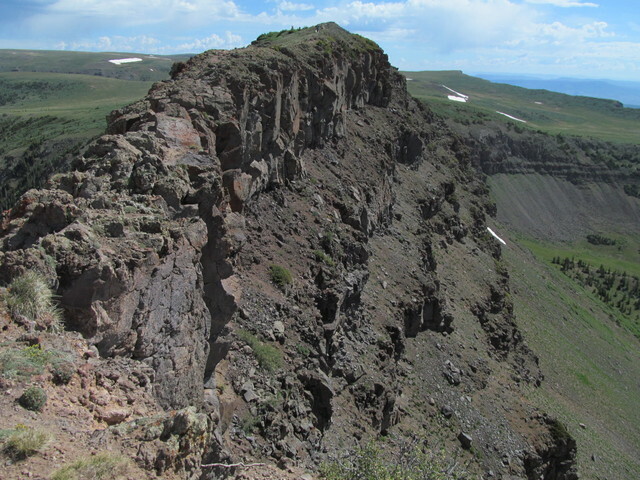 The view from the top of the Devil’s Causeway is one of the best in the Flat Tops Wilderness area. On the way to the top, hikers will pass fields of wildflowers and Little Causeway Lake. 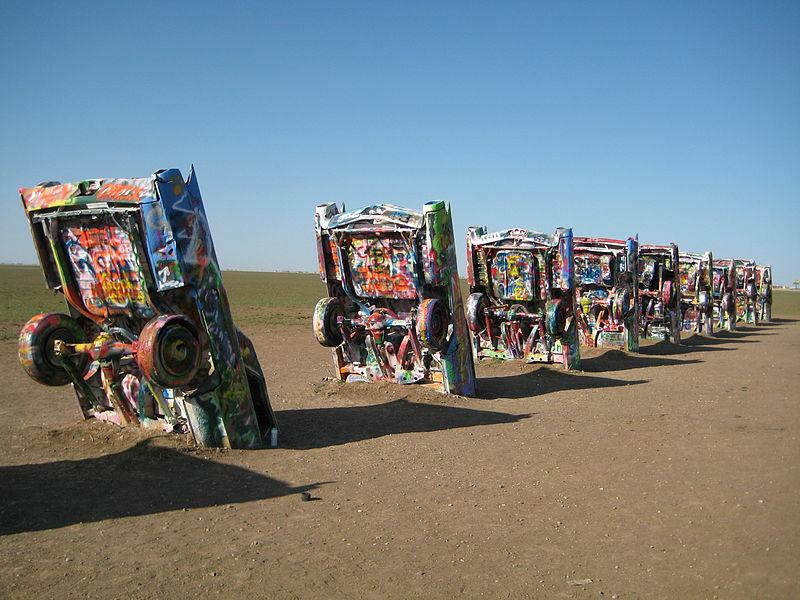 Located on Route 66 west of Amarillo, Cadillac Ranch is a public art installation built by artists from San Francisco. The ranch was created in 1974 and since then, visitors have been taking pieces of the cars or adding their own artistic touch with spray paint. Cadillac Ranch, Texas. Photo courtesy of Richie Diesterheft. The Palouse is a series of unique rolling hills and farm’s in Eastern Washington. The 6,000 square mile area is a photographer’s paradise. 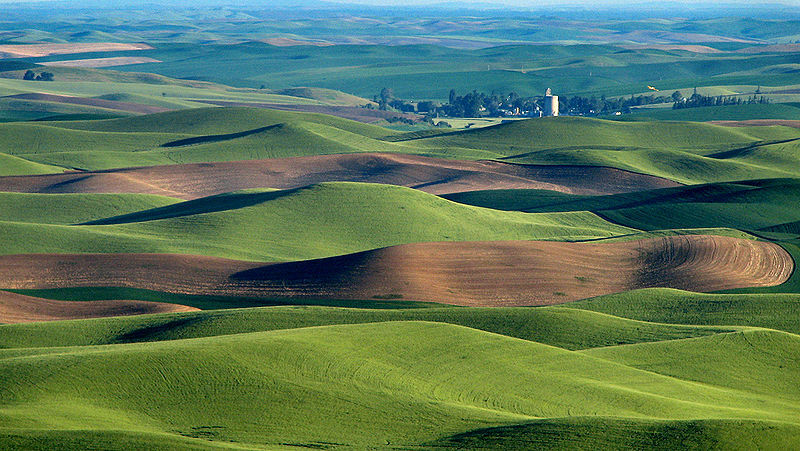 The area is best visited by taking a drive along the Palouse Scenic Byway. Make sure to stop at Steptoe Butte State Park, Palouse Falls State Park and Kamiak Butte State Park. 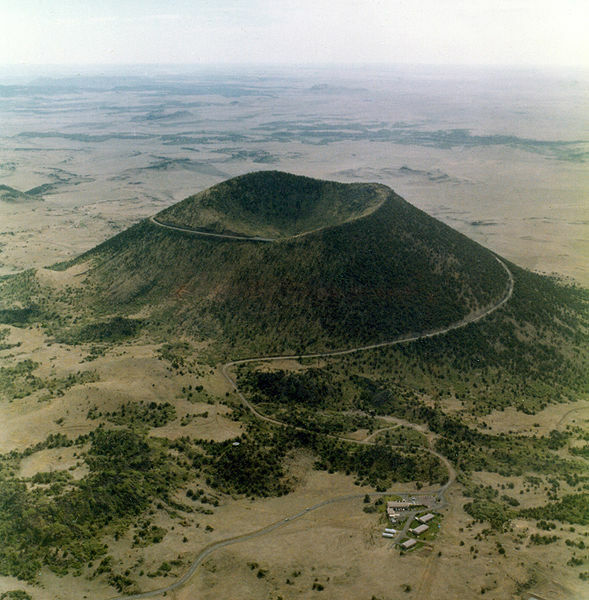 Located 261 miles from Albuquerque, the extinct Capulin Volcano is one of the least visited national monuments in the U.S. Visitors can climb the two-mile paved road to the top, which sits at over 8,000 feet and walk around the rim. Take in 360-degree views of the surrounding area from the top. Capulin Volcano National Monument, New Mexico. 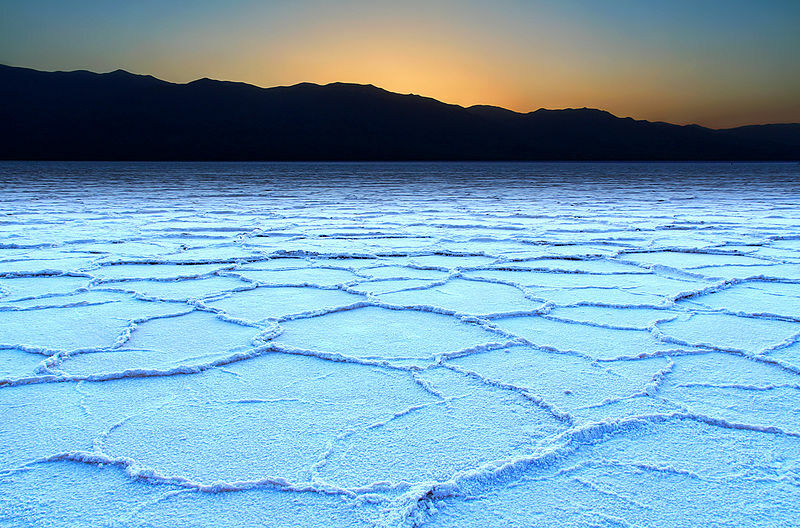 Located 282 feet below sea level, Badwater Basin is the lowest point in North America. The salt flats in Badwater Basin cover almost 200 square miles, among the largest salt flats in the world. Badwater Basin, Death Valley National Park, California. 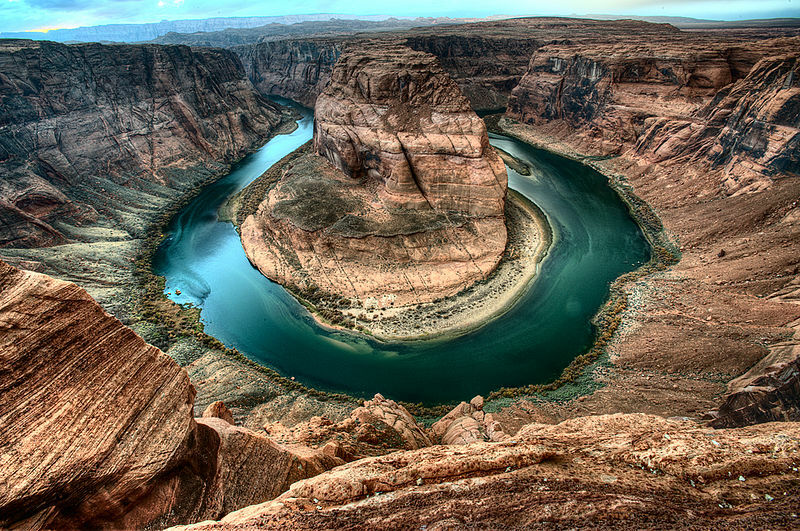 Located just a few miles from Lake Powell, Horseshoe Bend is named for a horseshoe-shaped meander of the Colorado River. The bend is a short 3/4 mile hike from U.S. Route 89. Add to the top of the list, Basilica of St Louis in St Louis, Mo. These pictures have my mouth watering! 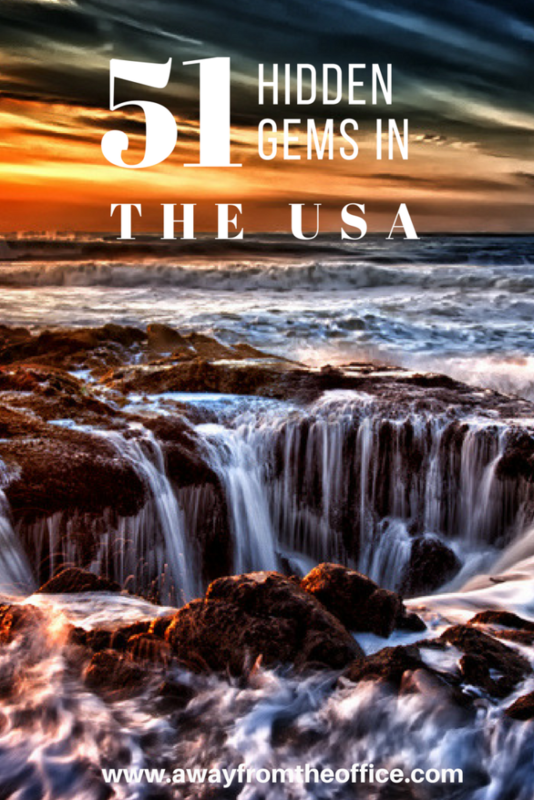 We have been to several of the sites, but are adding most of the others to our bucket list. Thank you! Beautiful photos and lots of places I have never heard of. Thanks for the tour and has given me places to consider for my next road trip. What a fabulous list! Definitely saving this for a big road trip I’m doing at the end of the year!!! WOW! So many wonderful places in the USA that I’d love to discover! I love caves and off the beaten path attractions/towns! Great list!